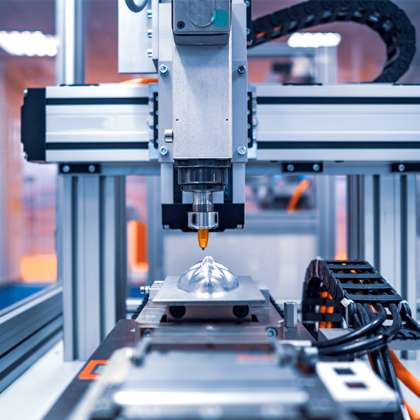 Developments in artificial intelligence (AI) combined with the rise of industrial automation in industries is underpinning growth in the 3D camera market. Other key drivers include: vehicle automation; depth sensing in construction and mining; as well as face recognition systems. To cater for this growth in demand for 3D cameras, a raft of new systems has recently become available. In January, Atlantik Electronics GmbH a leading technology marketer and designer of semiconductors and semiconductor solutions presented ‘Cube Eye’ its new 3D camera. The system can cover distances from 20cm to 6m. However, the company said, “Further distances are already being developed and are available in the medium term.” Cube Eye uses Time of Flight (ToF) technology and Atlantik claims that it can be used in a wide range of applications. These include: gesture recognition and control; human positioning and detection; robotic and machine vision; identification or measurement of obstacles and objects; and the detection of movements in 3D. “The camera system is a fully-developed solution with integrated USB interface. This requires only minimal effort for the electronics development. A development tool (SDK) is also available to speed up software development,” said the company. Stemmer Imaging Ltd recently announced the Starform Swift 3D camera from Odos Imaging with a 640- × 480-pixel sensor. It comes with integrated 850-nm LED illumination and can acquire 3D point clouds for imaging at 44 fps from a range up to 6 m. “These fast frame rates can be used to track dynamic scenes in 3D or accumulate static scenes for improved precision,” said the company. In other developments, Basler AG has launched its ToF 3D camera that operates on the pulsed time-of-flight principle. The device is equipped with eight high-power LEDs in the NIR range and generates 2D and 3D data in one shot with a multipart image comprised of a range, intensity and confidence map. The measurement accuracy of the Basler ToF Camera is +/−1 cm at a range of 0.5 to 5.8 m. It offers powerful features such as high dynamic range, and multichannel, trigger or picture transfer protocol. IDS Imaging Development Systems GmbH has announced its upgrade of the 3D vision Ensenso X series of cameras. “The Ensenso XR is the first variant to feature on-board processing to calculate 3D point clouds itself and transfer them via Gigabit Ethernet or WiFi to a host PC for further analysis. The key benefits are faster data processing and lower utilization of network and computer resources. Ensenso XR is therefore ideally suited for multi-camera systems where the load on bandwidth and connected PCs are critical factors for the success of the applications,” said the company. In March, Veovo the provider of intelligent airport systems introduced ‘BlipVision’, its 3D Camera Technology for in-depth queue analysis. BlipVision provides a highly detailed view of both real-time and historical queues. Furthermore, it automatically detects forming queues, thereby enabling reduced wait times per-airline, per-counter, and per-passenger-class. The platform uses deep-learning algorithms to provide a detailed picture of movement patterns. Also in March, e-con Systems launched its ‘STEEReoCAM’ 3D stereo vision camera. It comes equipped with a pair of 2 MPixel 1/2.9 inch global shutter monochrome OV2311 CMOS image sensors from OmniVision, and supports 1600 x 1300 at 30 fps. Ultra-accuracy mode supports depth mapping at 5 fps. High-accuracy mode provides 15 fps and high frame rate mode supports up to 22 fps. The camera is 135 x 20 x 23.65 mm in size, has a flexible depth sensing range between 0.95 and 8 m, and houses a 6-axis IMU comprised of a 3D accelerometer and 3D gyroscope. “STEEReoCAM™ is ideal for applications such as depth sensing, robotics and autonomous guided vehicles, face recognition, gesture recognition, drones, 3D video recording, 3D measurements, embedded vision, surgical robotics, and so on,” said the company. Demand for 3D cameras is growing at a staggering pace, with one recent study claiming a CAGR of 35.5%, between 2018 and 2025. This will give it a valuation of around $12 billion, compared with $1.31 billion in 2017. Growth is expected across all the main applications, including: computers; smart-phones; tablets and professional cameras. However, it is the smart-phone sector that is causing the greatest excitement. Smart-phone manufacturers are now engaged in an intense race with each other to gain competitive advantage with 3D cameras. Huawei expected to soon launch a new smartphone with the 3D ToF camera. The camera will be able to take three-dimensional pictures of objects and people. The new sensors will be made by Sony Corp. LG has also filed a patent for a new type of camera which uses lasers to determine object depth and build 3D pictures. Other players including: Sharp Corporation, Infineon Technologies AG, Soft Kinetic Systems S.A., Leica AG, Panasonic, Mantis Vision, PMD Technologies and Samsung Electronics Limited are also understood to be working on new systems.